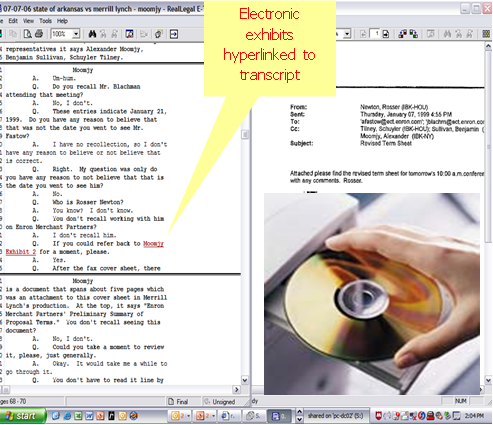 We will deliver a compact disc containing your deposition transcripts and exhibit documents hyperlinked together so that when you review your transcript you can hyperlink directly to exhibits as they are referenced. The transcript and exhibit bundle contained on the CD can easily be imported directly into Summation®, LiveNote®, Sanction®, or any other major litigation support product. Our firm will also scan exhibits and use our Optical Character Recognition (OCR) tool to convert them into fully searchable documents.